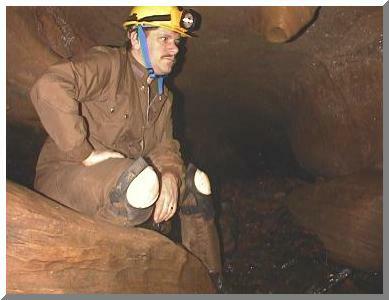 Caving is one such hobby of which I am a member of the Pittsburgh Grotto and the National Speleological Society (#45549). The conflict with caving is that you don't want to tell just anyone where the caves are located due to potential vandalism. To the left is a recent picture of me in a cave. Note the broken/missing stalactite that is hanging to the right of me. It didn't just fall off, someone broke it off. A couple million years in the making and then it is gone in seconds. Music is another hobby of mine. Although enjoyable for myself, my abilities to play various instruments remain at an amature level. I like to play acoustic guitar, drums and harmonica. 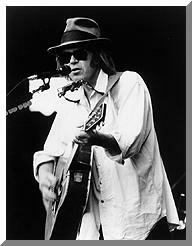 Neil Young is one of my favorite, living artists. 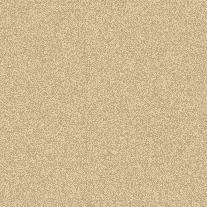 His music is sometimes found depressing and not enjoyble by some but I find it very versatile and inspiring. Neil has performed with a variety of artists ranging from disco king Rick James to country & western's Willie Nelson. To the right is a picture of Neil doing his thing. 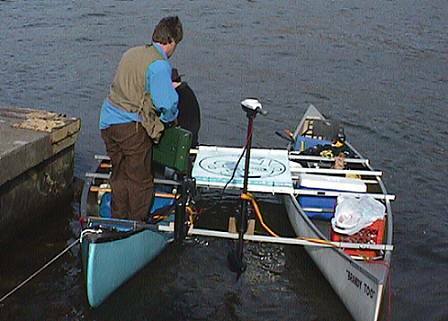 On November 24th, 2001, the first Popeye Expedition took place on the Monogahela and Ohio Rivers. Future expeditions are being planned as annual events. Click here for more information. I'll be making changes to this page so come back soon!